Chip giant Intel (NASDAQ:INTC) had told investors to expect that it would start shipping products built using its 10nm chip manufacturing technology in the first half of 2018, with higher volume shipments happening in the second half of 2018. Rumors have been flying that Intel’s 10nm technology development technology progress hasn’t been going as well as the company hoped, posing a risk to that schedule. During its earnings conference call on April 26, Intel admitted that because the yield rate (the percentage of chips produced that are salable) of the technology hasn’t been improving as quickly as expected, it would push off mass shipments of chips built using 10nm to sometime in 2019. Let’s go over what this means for the company. A delay in the company’s 10nm technology means that all of the products that were supposed to be manufactured using it — PC processors, data center chips, cellular modems, and more — will all be pushed out. This means that Intel isn’t bringing more compelling products to the marketplace as quickly as it would have without the manufacturing delay, potentially hurting its competitive positioning. Compounding the effect, not only does Intel not get the inherent benefits of new manufacturing technologies (like more performance and better power consumption), but it also won’t get all the design enhancements its engineers incorporated into new chips out on time, either. Intel’s 10nm technology had already been substantially delayed (it was supposed to go into mass production by the end of 2015, but that schedule kept getting pushed out), so further delays only make the situation worse. Intel’s pushing out mass production of its 10nm chips from the second half of 2018 to sometime in 2019 is bad. But it’s worth noting that on the conference call, Intel couldn’t even commit to when in 2019 its 10nm technology would finally go into mass production. 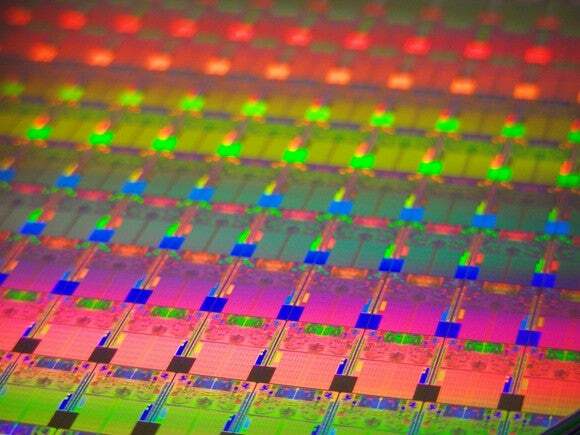 According to Intel CEO Brian Krzanich, the timing will depend on how quickly the company can improve the yield rates. If things go well — and that’s a relative term, since things are obviously not well with the technology — Intel could bring it into mass production during the first half of 2019. If things don’t go well, mass production might not start until the second half of 2019 (and that could mean as late as Dec. 31, 2019). Products built using Intel’s 10nm technology might not make it to the market in real volume until 2020. Intel’s financial performance last quarter was strong, and it will likely enjoy an excellent 2018 (having raised its guidance for both revenue and profit for the year). But ultimately, the risks associated with its 10nm technology issues could materialize in a big way during 2019. Intel needs to bring out new products next year, and it’s not clear that it has viable backup plans for bringing out compelling new products using its 14nm technology in 2019, should 10nm remain nonviable throughout the year.